The Maui Schooner is located on the west side of Maui in the town of Kehei. It is a small two building resort with one building being oceanfront and the other is angled behind the first building offering some ocean view units. The location is great for seeing the whole island. 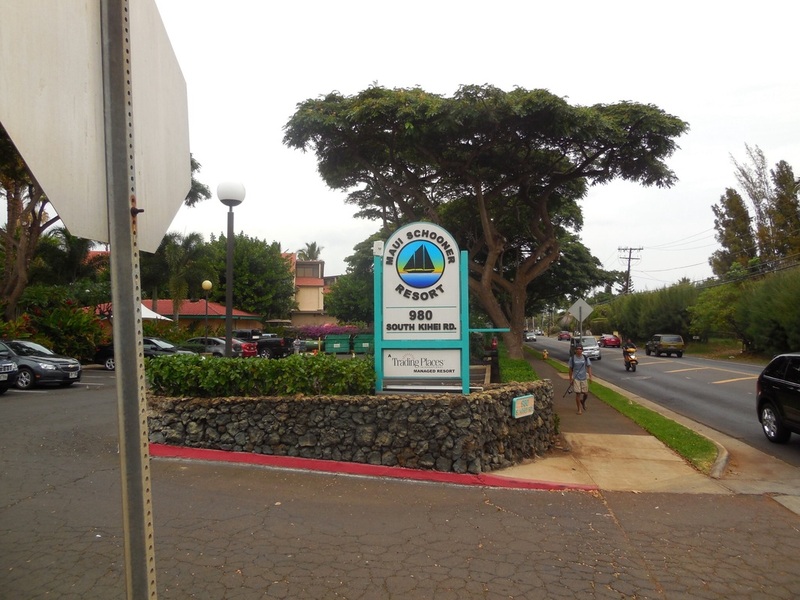 It is about 45 minutes from Kaanapali and the beaches of west Maui and only 15 minutes from the airport. It is similar to the Pono Kai where it is an older resort but kept up really well.Again. no mega resort here but the units are clean and comfortable. They just finished a remodel on all the units and they all have granite counter tops in the kitchen and bathrooms. I also have a one bedroom unit that is featured in the video below. I will be staying in the two bedroom in January 2019 and I will add more photos and another video at that time. The unit available is a two bedroom, two bath that sleeps six. The units have a full kitchen and washers and dryers in the unit. This unit can be used anytime in 2019 and 2020 based on availability. Price for the week is $1,650. The only other fee you have to pay is the Hawaii TAT tax paid to the resort at checkout. It will be approximately $85 for the whole week. Use the "Booking Your Rental" tab at the top of the page to reserve one or both of these weeks or use the "contact Us" tab also at the top of the page to ask any questions you may have. Maui Schooner Room A404, One Bedroom Unit.